People all over the world are talking about cryptocurrencies such as Bitcoin and the ever growing list of 'altcoins'. Like many people we have read about huge amounts of money that have been made (and lost) in this exciting new market. 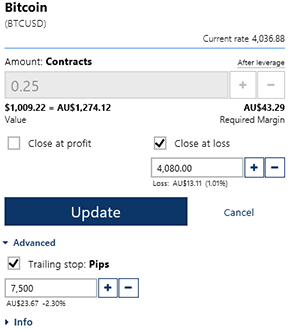 A few months ago we decided that we've spent enough time on the sidelines and wanted to have a go at trading Bitcoin. Unlike foreign exchange, which is traded on one market (through several brokers), Bitcoin is traded on several separate exchanges. To trade Bitcoin (or an altocoin) you need to deposit your cryptocurrency with an exchange. You will then be able to trade with other members of that exchange for either cryptocurrency or normal 'fiat' money. The exchange you choose will influence the prices you can trade at, and will also determine which coins you can trade. Most importantly the exchange will influence how secure your investment is. Over the past couple of years we have read several stories of Bitcoin being stolen from exchanges. Cryptocurrencies are not covered by the same laws or insurances as other markets. This means that if your Bitcoin is stolen from the exchange, then it's lost forever. Before we get into trading Bitcoin, we'll go over some of the basics. we want to make sure that cover the cryptocurrency basics before we start placing buy and sell orders on any exchange. Bitcoin was first launched in 2009, by someone using the online name 'Satoshi Nakamoto'. At that time the world was still suffering from the effects of the Global Financial Crisis (GFC). Like many, Satoshi had lost faith in the financial system, governments and central banks which set interest rates and control the money supply. His solution, was a peer to peer digital currency outlined in his original Bitcoin document. Satoshi describes Bitcoin as 'electronic cash'. It was designed so that people all over the world could pay each other without using financial institutions. Just like cash, transfers are completely anonymous and like cash, it can be lost forever. To prevent double spending, Satoshi envisioned that all transactions would be approved and recorded on a public ledger which is visible to the entire network. This proof of work is a record of every Bitcoin transaction that has ever occured. It is known as the blockchain. Bitcoin and the blockchain are an 'open source' software. This means that the system isn't owned by anyone in particular. Instead it is run and maintained through consensus by 'miners'. In return for dedicating their computing power to keeping the network up and running, miners are rewarded with the chance to receive new Bitcoin as it is issued. Your privacy is protected through an online security technology known as cryptography. People trade bitcoin through virtual wallets. These wallets are like numbered accounts, so even though transactions are recorded, nobody knows who owns each wallet. The identity of who owns each wallet is completely anonymous. Bitcoin wallets can only be accessed with the right combination passwords. If you lose your wallet login details, you will lose any Bitcoin that was in that wallet. There is no other way to access the cryptocurrency held in a digital wallet. Bitcoin is a decentralized currency with a finite supply of 21 million. Once all 21 million Bitcoins have been 'mined', then the supply will stop growing. It is thought that a finite supply would help avoid such scenarios as seen in the GFC when central banks were trying to stimulate their economies by printing more money. Like foreign exchange, cryptocurrencies have exchange rates. 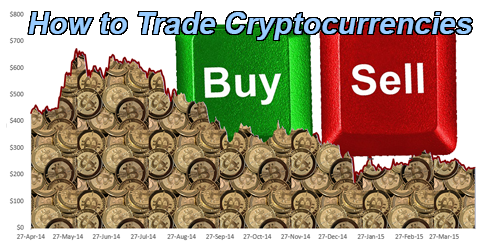 The price of each cryptocurrency is determined by buyers and sellers on the exchanges. This makes it a system of supply and demand similar to most conventional markets. Between 2009 and 2013, Bitcoin was relatively unknown, and this was reflected in the price, which spent most of that time below US $1, and briefly went over $20. You could have bought Bitcoin in January 2013 for US $13, and sold it in November of the same year for over US $1,000. Since then we have seen a highly volatile Bitcoin price. If you sign up for a free bitcoin wallet, you can buy Bitcoin from one of the many exchanges and hold it in your wallet. As long as you don't lose your access key, then it's like keeping the cryptocurrency in a safety deposit box. It won't earn interest, but nobody can ever take it from you. If the value of Bitcoin continues to fluctuate, then the value of the cryptocurrency held in your wallet will move with it. It's important to understand that when you invest in cryptocurrency, the value of your holdings will change with exchange rates. You can also invest in cryptocurrency through mining. Bitcoin is now mined by very powerful computers designed to handle the 'increased difficulty' of a large cryptocurrency network. While it is possible to dedicate your home computer to mining Bitcoin, it's best to invest through a mining pool. As the name suggests, these companies allow you to invest in a share of a 'pool' of hardware which is used to mine Bitcoin. Any rewards are then divided among the investors. Like exchanges, you need to be careful how much cryptocurrency you invest because there have been cases of fraudulent theft from mining pools. We have been trading Bitcoin using contracts for difference, which can also be used to trade a collection of other cryptocurrencies. We have done this through a company called plus500. CFDs enable individuals to gain leveraged exposure, to investments including stocks, commodities, forex and cryptocurrencies. The use of leverage creates a substantial increase in financial risk, and for this reason, CFDs are only suitable for sophisticated investors with very high risk tolerance levels. Trading is a little different from investing. Our goal is not to buy and hold an asset. We are looking to make profits from a short term change in the price. If we believe that the price will go up, then we will buy the coin and 'go long' with CFDs. If we believe that the price will fall, we will sell the coin and 'go short' with CFDs. You can profit if the price goes up or down. The leverage ratio offered on each CFD multiplies the returns on your trade. For example, the Bitcoin CFD offers leverage of 1:30. This means that for every $1 you have on deposit with plus500, you can trade $30 worth of Bitcoin. Leverage magnifies your ability to trade the underlying asset, and will also magnify your returns. In the above table, we 'went long' on a Bitcoin CFD, which means we bought $3,000 worth of Bitcoin. If the price of Bitcoin moves by 3.33%, this will generate a return of 100% on our deposit. If the price goes up (as we expected on a long trade), we can double our funds. If the price moves against our trade, we can lose our entire deposit. 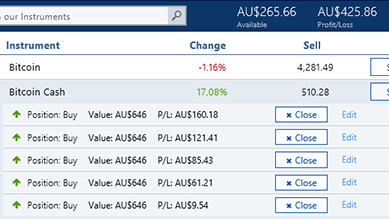 Plus500 is a publicly listed company traded on the AIM section of the London Stock Exchange. This means that they are regulated as a listed company and must provide full disclosure as per the rules of the stock exchange. The anonymity of Bitcoin is an important part of the ideology of cryptocurrency. People don't want a governing body watching over their or controlling their transactions. Unfortunately this feature has also attracted people with dishonest intentions. Like any leveraged investment, you can lose or make money fast with plus500 cryptocurrency CFDs. On August 18th 2017, with $100 on deposit, we decided to open a long trade on Bitcoin Cash. We saw that the price had just broken a record so we decided to bet that it would keep going up. As the price of Bitcoin Cash went up, we 'followed the market', and opened additional trades as our available funds grew. As you can see, we managed to open several trades, and at one time had profits of over $400. That's a gain of over 400% on our deposit in just one day. Trading of any kind is risky. Trading with leverage is especially risky. If you decide to trade cryptocurrencies, or any other CFD with Plus500, then you should not deposit more funds than you are willing to lose. The returns we experienced while researching this article were very good, but we were extremely lucky. There is no guarantee that our luck will continue.... It is possible that on future trades we will make losses which may amount to our entire deposit. As always, we'd love to hear from your in the comments section below. Please let us know what you think, especially if you can share your experiences trading cryptocurrencies or CFD's.